This luggage trailer for hire has an extra long load length of 2,4m and is ideally suitable to accommodate objects that do not fit into a standard luggage trailer. Usable for all other goods like small household goods, boxes, luggage, beverages and groceries items etc. 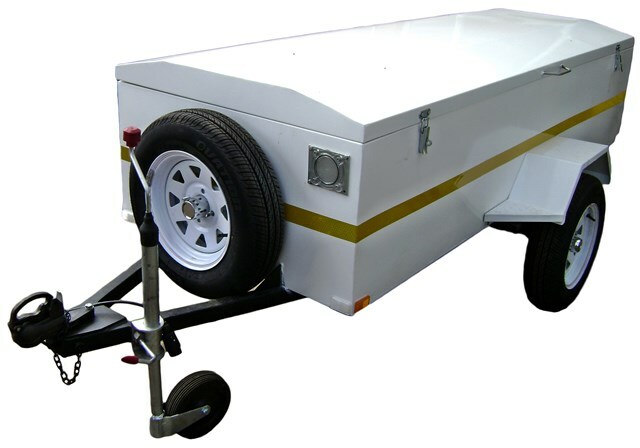 This luggage trailer for hire is a light duty single axle unit with a carrying capacity of 750kg. Additional features: Trailer can be used with or without lid. No onboard brakes. Tow vehicle requirements: Cars, bakkies or 4x4’s with a minimum engine size of 1.5ℓ or larger.